Kelley teaches the Leadership Preparation Diploma program, which includes honing the soft skills needed for leadership. She has a Bachelor of Commerce degree from Concordia University, and received a TESOL diploma from Vancouver Community College. After graduation from Concordia, she worked in various management positions in the local publishing industry for twenty years. She brings practical management and problem-solving skills experience to her classroom. She started teaching in 2007 and ran her own business consulting company until starting at LCC in April 2018. She continues to be inspired by her students every day, and their curiosity and hard work help her to be motivated to promote excellence in the classroom. In her spare time, she is active in the Vancouver community, volunteers for organizations, enjoys the beautiful city, and spends time with friends and family. Victor has been a teacher since 1997 and has worked with students of all ages and abilities. 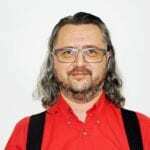 He has worked in Romania and the USA with preschool and elementary school children and students with special needs but, since moving to Canada in 2010, has been focusing on teaching ESL courses for adults, particularly IELTS and other test prep classes. He prefers his classes noisy and active and believes that if students are having fun, they become more involved in the learning process. On the weekends, Victor is actively involved with different language test centers and outside of work, he spends his time aquascaping, taking pictures or cooking. 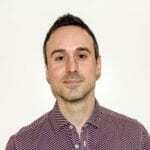 Kent is an ESL teacher with over 10 years experience in Canada and abroad in Taiwan, Japan and Australia. His hobbies include travel, snowboarding, going to concerts, hockey, exercise, drinking beer and coffee or some combination of all of the above. He enjoys meeting interesting people from around the world and helping them to achieve their language learning goals. My name is Linda Jang. I am an ESL instructor with over 18 years of experience of working with students of all English levels. Meeting and connecting with students from around the world and from all walks of life is one of the best parts of my job. We have the most amazing students at LCC. Outside of work, I enjoy good movies often with my darling children, the great outdoors and playing volleyball. Arina has been teaching since 1996. Before moving to Canada, Arina worked in Europe for a few years and was involved in a Comenius project with schools from Germany, Romania and France. She believes that when people learn a new language, they discover a new culture, make more friends and understand the world better. Arina is a mentor for students in LCC’s Co-op and career diploma programs. Sandra has been involved in the ESL field since 1987. Besides teaching, she has written texts, worked on curriculum development and done lots of administrative work. She has lived and worked in Japan, France and Canada and travelled to more than 25 countries. Sandra loves teaching because she always learns from her students. Outside of work, Sandra loves to read, ski, watch movies and hang out with her children. 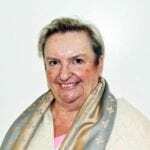 Barbara has taught for many years, starting in England as a Geography teacher, then in Zurich, Switzerland as an English language instructor in a private school, and eventually settling in London, Ontario to raise her family while teaching Grade 6 students at a private primary school. It was not until a friend suggested that ESL would be interesting and fun that she trained as an ESL specialist at the University of Western Ontario and switched to teaching adults. 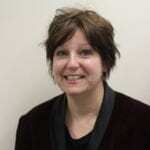 Barbara moved to Vancouver in 2002 and has been teaching TOEFL and IELTS at LCC since. Beverly graduated from the University of British Columbia in 1994 and has been teaching ESL continuously since then! She has taught in Japan and understands the joys and challenges of living in a new country. Beverly believes that students learn not only from the teacher but also from each other. She likes it when students interact with each other and ask questions. She often says, “No dictionaries! 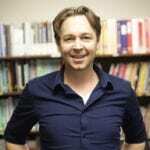 Chris teaches Academic English, Writing Skills, and Pronunciation at LCC. He has been teaching ESL since 2003, first in Taiwan and for the last several years in Vancouver. Chris has a degree in Psychology (UVic), a certificate in TESL (Victoria), a certificate in Curriculum Development & Instructional Design (Mount Royal), and is finishing an interdisciplinary M.Ed in Learning Sciences (Calgary). He is also an avid cyclist and a part-time Mandarin student. In a previous life, Chris designed and ran mountain bike expeditions in places like Mongolia, China and the Tibetan Plateau. 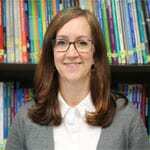 Emily teaches General English and is a Canadian Language Benchmarks Placement Test Assessor at LCC. 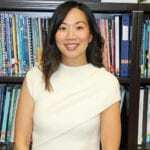 She has a Bachelor’s Degree with Distinction in English Literature from Simon Fraser University and a TESOL certificate from Vancouver Community College. 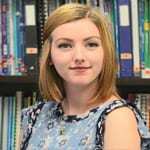 As an avid reader, Emily has a passion for teaching reading and writing and loves to help students engage with literature and new media. When she isn’t teaching, Emily enjoys oil painting, swimming, and playing board games with her friends and family. 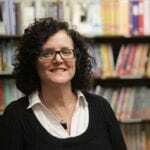 Jane began teaching ESL in 1994. Since she started at LCC, she has taught every level of General English from Beginner to Advanced. She thinks that learning a language can be a lot of fun. 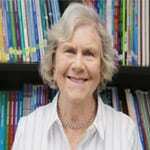 Jane has studied several languages herself so she knows how to help students learn successfully. Jane is from England and has a B.A. in Languages from York University in the U.K. She moved to Canada in 1976. Jane used to be a professional potter and taught art at the Shadbolt Centre in Burnaby for many years. In her free time, she likes to hang out in the mountains, either skiing or hiking. Jason received his Bachelor of Arts in the mid ’90s from Simon Fraser University, and continued there to complete a certificate in teaching ESL Linguistics. He worked at Vancouver English Centre in the late 90’s, and has been with LCC since then. 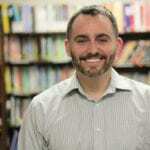 Jason has taught literacy, Introductory and Intermediate Writing, Intensive English 4 & 6, and all levels of the General English Program. Jason loves having fun with his family, playing his guitar, and exploring the spectacular natural beauty of British Columbia. Kamilla had lived in three different countries before she moved to Canada to pursue her Bachelor’s Degree. Her love for travel inspired her to become an ESL teacher. She thinks that an ESL classroom is a unique microenvironment that facilitates students and teachers to continuously exchange knowledge, life experiences and broaden each other’s horizons. In her spare time, she enjoys watching documentaries, reading books, spending time with her loved ones and, of course, travelling. 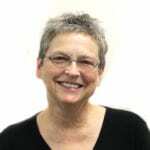 Ljerka has worked at LCC for more than 15 years, and has taught in many different programs including TOEFL Preparation, TESOL, Writing Skills, What’s on TV, and General English. She is also a mentor and Practicum Sponsor for LCC and VCC’s TESOL students. 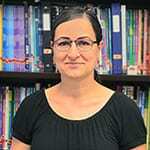 Ljerka has a BA in English and Literature, a VCC TESOL Diploma, and a TESOL Canada Professional Certificate Level 2. A firm believer that happy and relaxed students learn much better and faster, Ljerka herself finds relaxation in hobbies that include solving Sudoku puzzles; reading about science, history, and literature; and tackling big, fat grammar books! Since moving to Canada in 1994, Paivi has taught all levels of ESL, TOEFL, IELTS, TESOL, Workplace English, International Business Management Skills and even keyboarding. She has a B.A. in English Philology with a minor in Swedish, International Trade certificates, management experience and TESL Canada certification. In her free time she likes to read, do crossword puzzles, and spend time on the Sunshine Coast with her family. Roxanne has taught ESL for many years and has handled a variety of courses such as TOEFL, What’s on TV?, What’s in the News? and Let’s Talk About It. 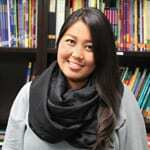 She has also worked on curriculum development for a youth ESL program. Roxanne loves noisy, talkative classrooms and believes that if students are laughing, they are no longer nervous and are then willing to take risks which lead to better learning. She loves movies and TV and all types of music – particularly music with loud, searing guitars – and dancing. 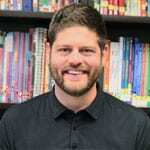 Samuel, who has been teaching at LCC since 2007, was born in a small city east of the Rocky Mountains called Calgary. He participated as a performer for the 1988 Winter Olympics. He received many government scholarships to study abroad: New York City, Sweden, Poland and Estonia. Travel has become an important part of his life. After completing degrees in Kinesiology and Fine Arts, Sam moved to Japan and lived in Yokohama, Sendai and Sapporo. He has also visited South Korea, Australia, France and Morocco. Sam has enjoyed studying French, German, Spanish and Japanese. Stacey has been teaching ESL at LCC since 2013. She teaches Intensive English and Focus on Grammar and loves helping students find their confidence in English. Having grown up in both Saudi Arabia and New Brunswick, she appreciates the contrast of experiences that her formative years offered her. She adores Vancouver; it has been her home since 2004 and she spends much of her time wandering the streets of the city and the seawall. Her main loves are trees, writing stories with silky pens, people-watching, epic novels and all animals.